If you live in an area that makes riding a bicycle in the winter impossible, such as Des Moines, there are several things you need to do in order to place it in self-storage. 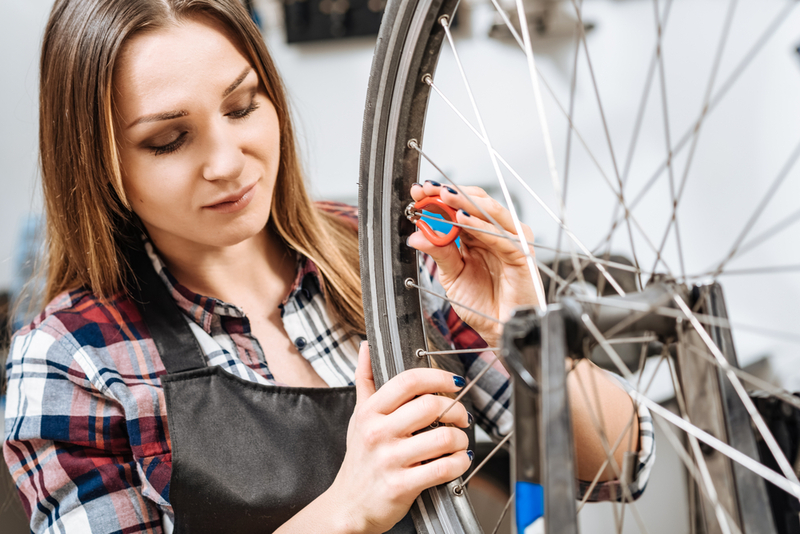 By following these steps, you can ensure that your bike avoids deterioration from disuse over the winter months, so it will be ready to ride once spring rolls around. Before you put your bike in self-storage make sure that you fully inflate your tires, especially if you are not going to suspend your bike from the ceiling. If your tires are flat and resting on the ground, you can place undue stress on the rims. You could also cause spot deterioration on your tire where it is distorted. Instead of spraying your frame down with a hose, brush it down with a soft-bristled brush. Spraying your frame can leave moisture in hard-to-dry spots and may eventually cause rust. Once you have brushed the residue from your bike, wipe it down with a dry rag to remove grease and grime. Nothing ruins a chain or cable faster than rust damage. A few minutes of lubrication will ensure that your cables and chains remain in working condition while you keep them in self-storage. After applying a few drops of lubrication, wipe it down with a rag to evenly distribute the lubricant. Make certain that your wheels and brake pads are correctly in line. If your tires are not spinning true or are rubbing against the brake pads, it is a good idea to go ahead and get your alignment repaired before placing it into self-storage. Taking all of your water bottles or hydration packs whenever they are not in use is a step many bikers do not think of. Not only can they likely use a good thorough wash, but leaving any moisture in a self-storage unit will likely lead to mold building up inside of the bottle. If you have a backpack-style hydration pack, run a vinegar and water solution through the tube, followed by multiple warm water rinses. After you have finished cleaning them, leave them out to dry before storing them separately from your bicycle. Affordable Family Storage offers top-of-the-line self-storage in the Des Moines area. If you are looking for the perfect place to keep your bike in mint condition, we have the storage unit for you. With 24-hour security, you can rest easy that your bicycle will remain safe and secure until you are ready to break it out in the spring. To learn more, contact us here today!